Accatipster is a relatively new football tipping service that provides a variety of accumulator bets such as 5-folds, doubles and trebles on the main European leagues. It’s quite a simple service to follow, with just 5 bets per week on average, which all come in one e-mail for the weekend’s matches. Coming into the trial it boasted some strong-looking results, with claims of turning £10 into £1463 and so on. But how did it get on during our live trial? Well to be fair it did OK, making 3 points profit in the end. That equated to 3% bank growth and a return on investment of 1%, so basically it pretty much broke even. If you have accumulator refund offers available to you, then the results would have been around 12 points better, which makes them fairly good in the end. However, we know that a good number of our members here at Honest Betting Reviews don’t have such offers available – particularly those outside of the UK and Ireland – so we haven’t included those refunds in the official results. Here is the graph for the trial, which as you can see was in profit for most of the trial with just a dip down towards the end. Overall then after finishing more or less where we started, we think a NEUTRAL rating is fair in this instance. Ease of use: As we said above, a pretty simple service to follow with around 5 accas per week, all sent in one e-mail and giving plenty of time to get the bets on. Availability of prices: There was no problem getting the advised prices. One of the good things about backing accas is that prices don’t need to move in very much, as there are multiple selections involved. Strike rate: The strike rate during the trial was 49%, so very nearly half the bets were winners. Advised Betting Bank: No bank was advised but we used a 100 point bank for following the tips, which seemed sufficient. Subscription costs: The costs to sign up are £14.95 per month or £67 per year. Accatipster is a service which focuses on backing accumulators across the major European leagues. It ended our trial with 3 points of profit, which isn’t too bad by any means but meant we more or less broke even over the trial after accounting for subscription costs. We therefore feel a NEUTRAL rating is a fair verdict here. If you have access to acca refund offers then the results could have been a little better, so if you do have those then this could be a service to take a look at. Sadly there has been a bit of a reversal for AccaTipster since our last update a few weeks ago. In that time we have lost 15 points to advised prices, meaning we are now 2 points down for the trial overall. Hopefully things will get back on track shortly and the recent run was just a blip. Time will tell as always. Things have started off well for football accumulator specialist AccaTipster, which is 13 points up so far after one month of our trial. There are only a handful of bets per week which is nice, so it’s a pretty easy service to follow. 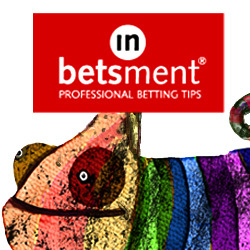 The tips come in a variety of leagues across Europe and some of the lower English leagues. If you are able to utilise the bookies’ acca refund offers then you may be able to slightly improve upon the results above. For example the 5-fold on 16th December had one losing leg, so if you placed your bet with Ladbrokes (or another bookie with an acca refund offer), you would have got your stake refunded (up to £25). Anyway, it’s been a good start to our trial of AccaTipster so will be interesting to see how this one progresses. Today we are starting a trial of a brand new football betting service called Accatipster. As you may have already guessed from the name, this is a service that specialises in football accumulators. It comes from Phil Rushton, the man behind Football Value Tips, which we reviewed earlier this year and gave an approved rating to after an extended nine-month trial, so he seems to know what he’s doing and has a solid reputation in football betting. Football accumulators can be a lot of fun and make up a good portion of punters’ weekly bets, but typically they are tough to make a long-term profit on. However, maybe Accatipster has found the answer. They claim to have developed a low-risk betting method for accas that exploits a bookmaker loophole to make regular profits. They have apparently had four winning months out of four so far and have achieved a 57% strike rate. You would have made £1,650 in profit in just 4 months from following the service from £10 stakes, which are pretty decent returns. They place bets from doubles right up to six-folds apparently, so a wide variety of accas. This system looks intriguing as we wonder what the method they have developed is to make low-risk acca profits. There are one or two systems out there that use bookie offers to make acca profits, but from what we can tell this doesn’t look like the same thing. In any event, only time will tell how this gets on and what the method is. So we will run a three-month trial of this and see how it gets on under the spotlight of a live test. You can check back here for updates on how it is getting on. In the meantime you can view Accatipster for yourself here. Bookies Gear Up for Spring Betting Bonanza Get Your Free Cheltenham Tips Here!